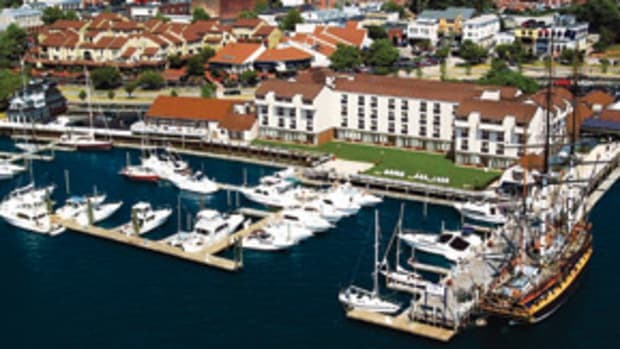 While it may not seem so to us, the American yacht buyer is a tough nut to crack. In fact, you could say the American market has, over the years, proven to be something of a tar pit for foreign builders; the bones of the unsuccessful ones litter the landscape. The problem is that Americans love boats from foreign shores, but only on their terms, and those terms often involve things like dimensions, specialized equipment, and certain imponderables that are hard for foreigners to decode but if absent can be the kiss of death. That’s why, over the years, many of the most successful foreign builders have partnered with American individuals or companies that can give them the crucial insight into what American buyers want and, equally important, what they won’t tolerate. 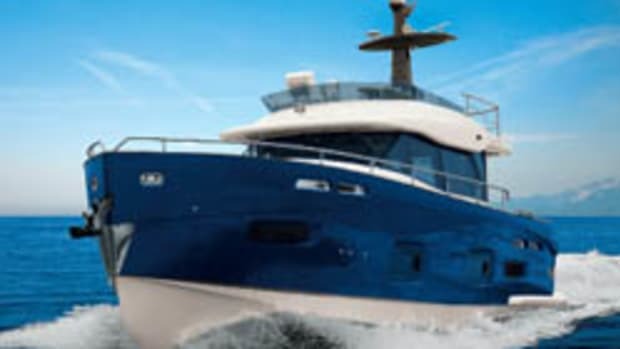 One of the most successful such partnerships is the one between Viking Yachts of New Gretna, New Jersey, which is best known for its sportfishermen, and Princess Yachts International, builder of the Princess line of cruising yachts that are sold in Europe and elsewhere outside the United States. 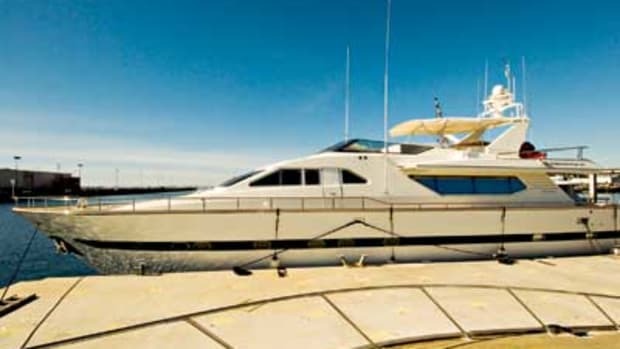 Beginning in 1996 they teamed up to offer American boaters Viking Sport Cruisers, a line of cruising yachts based on the Princess models but extensively modified to accommodate American tastes and requirements. Indeed, they were so modified, Viking actually sent containers full of everything from mechanical equipment to fabrics to Plymouth every month. 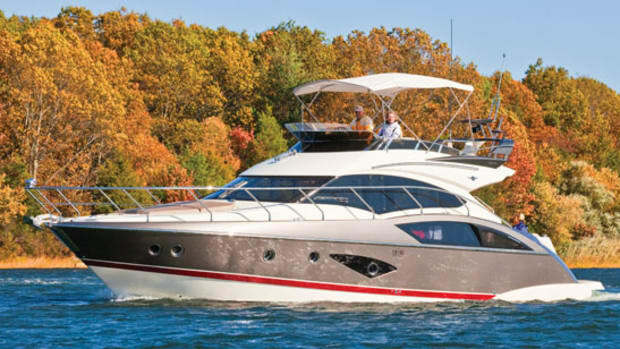 The driving force behind that union was Tom Carroll, who in 1996 was executive vice president of Viking Yachts and is today also president and CEO of Viking Sport Cruisers. 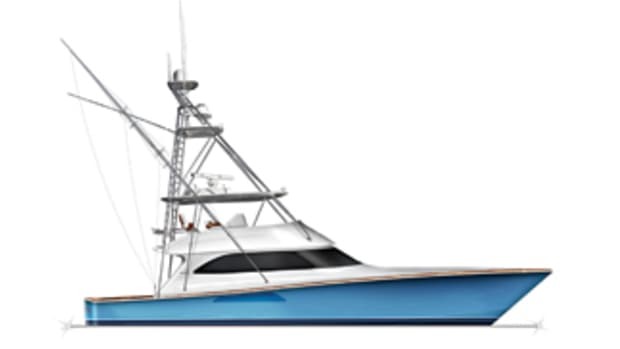 Now Carroll is about to employ a similar partnership model utilizing Viking Custom Yachts to bring to the States a series of semi- and fully custom yachts built of fiberglass, aluminum alloy, or steel (depending on size), starting at 62 feet and stretching all the way to 173 feet. But this time his partner is Italian. That partner, Sanlorenzo, has a long and storied history. 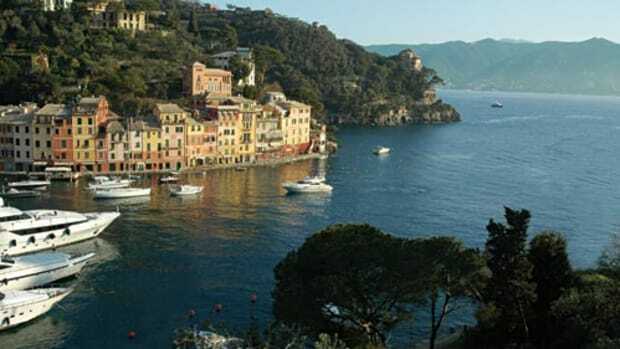 Founded in 1958 by Giovanni Iannetti in Viareggio, Italy, it concentrated on building semicustom yachts—first in wood, then fiberglass in 1985—for a small, discerning clientele, mainly Italians. The first model was a 57, a big boat in 1985, followed by progressively larger models and extending to a 108 that launched in 2004. But while the construction materials and models have changed over the years, certain things have not. Because of the company’s semicustom mindset, no two Sanlorenzos (there are more than 500 worldwide) are the same. Virtually any internal component or feature could be, and was, altered to suit the buyer. As to the exterior, the situation was exactly opposite: The company never followed the many styling trends that periodically swept through Italian boatbuilding. Hence the look of a Sanlorenzo is recognizable, consistent, and decidedly conservative--more rectilinear than swoopy. And just as Sanlorenzos have never been about following the fashion of the moment, neither have they been about speed or light weight. Rather they have always been cautiously engineered and studiously overbuilt.